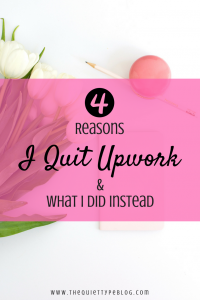 More and more people are choosing to opt out of the traditional 9-5 lifestyle and work as freelancers instead and who could blame them? Working from home as a full-time freelancer is one of the best feelings in the world. …and taking naps when you need to recharge (seriously, it’s the best). While all of those things are great, freelancing takes a lot of hard work. Freelancers need to be able to stay motivated, manage their finances (including self-employment taxes), find their own clients, and stay organized. Simply put, freelancers have a lot on their plate. 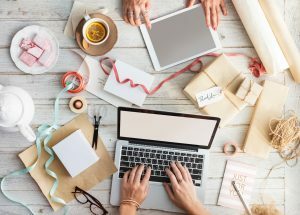 Luckily for freelancers everywhere, the marketplace has begun to include new business tools that freelancers can use to maximize their productivity and organization. 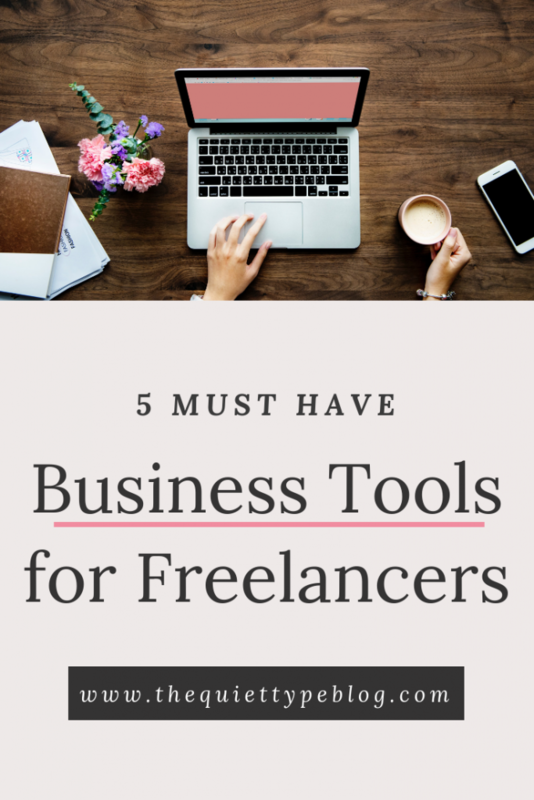 Since I started freelancing over a year ago, I’ve tried a lot of different tools but here are five tools I think every freelancer needs. Starting a freelance business whether it be freelance writing, web design, photography, etc means having a professional website that positions you as a credible expert. That means opting for a self-hosted website and your own domain name. It might be tempting to just use a free version of WordPress.com or Wix.com, but you’re much better off investing in a self-hosted website for two reasons. A self-hosted site means you own your content, so you have total control. A free site comes with a lengthy domain name like yourbiz.wixsite.com/yourbiz, which that looks unprofessional. Need a recommendation for an affordable web host? SiteGround is my favorite. I host all three of my websites through SiteGround and have had nothing but good experiences with it. I even transferred an existing domain from Wix to SiteGround and the process was super simple. Use my link to get web hosting for just $3.95/month! Next to a business website and portfolio, accounting software is one of the most important business tools for freelancers. The ideal accounting software you choose should track income and expenses, send invoices, and take payments. Believe it or not, there’s an accounting software that works wonderfully and it’s FREE, making it the perfect choice new freelancers on a budget. Wave is my absolute favorite accounting software. It’s easy to use and does everything I need it to. For more information on why I love Wave and a brief comparison to QuickBooks, check out this blog post. 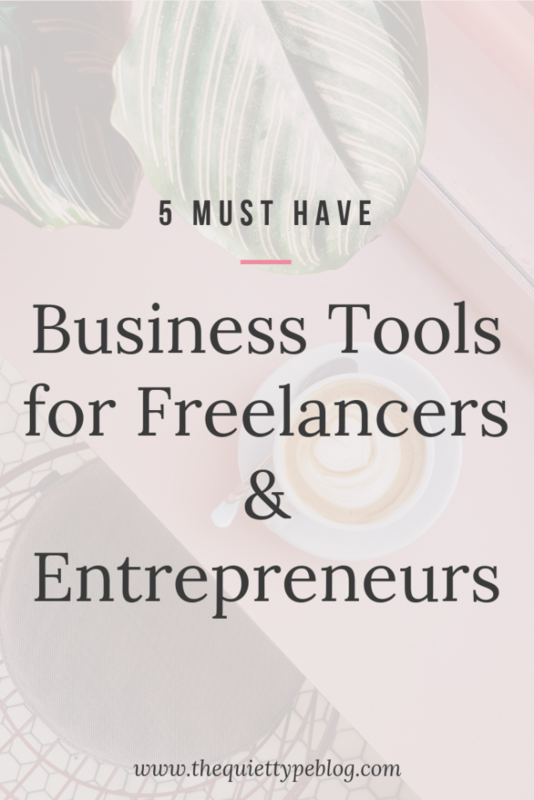 Here are three of my favorite organizational business tools for freelancers. I’ll admit, I used to be pretty skeptical about organization and project planning apps. I’ve tried Asana in the past and for me personally, it left a lot to be desired. Then, I found Trello. It basically combines all the parts I did like about Asana with Pinterest, making it an awesome business tool for freelancers. Each project can be broken down into it’s own “board” and within the board, tasks required to complete the project are broken down into lists. From there you can create labels for each task and when they’re done, simply move them to your “done” list. I’ve only been using Evernote for a few weeks, but it quickly became a favorite. It’s kind of like Google Drive but on steroids. With Evernote, everything I need is organized the way I want it and is easily search able. The Webclipper lets me save web pages, PDFs, and articles so I can find them easily later and are accessible even when I’m offline. I’ve tried many things to create checklists and track my appointments, but I always go back to my paper planner. There’s just something so satisfying about writing down tasks and checking them off that I just can’t give up. It’s also got bonus sections for first and last task for the day, a tracker, and extra space for notes. 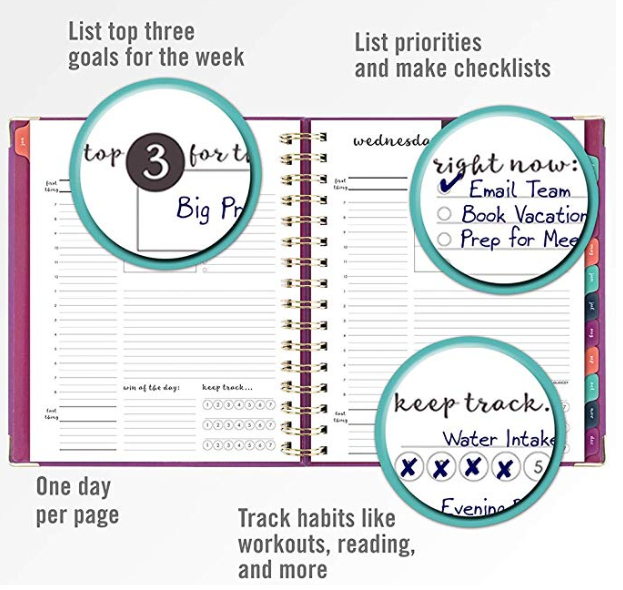 The start of each month has a monthly calendar and a place to write out goals and tasks for the month. 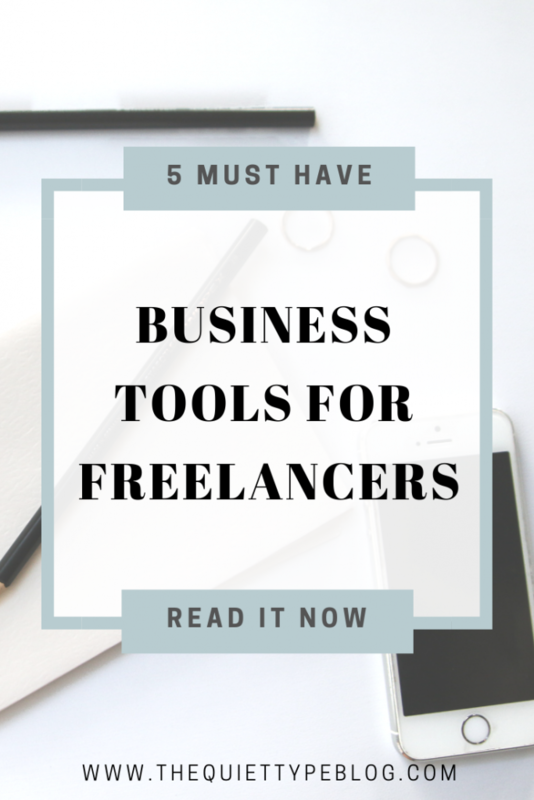 It may not seem necessary, but business tools are a must have business tool for freelancers. One way to drum up business is attending networking events, where you would hand out business cards. Business cards are also great for giving to family or friends who may be able to point potential clients your way. Business cards don’t have to break the bank, either. Design your cards on Vistaprint or Zazzle for inexpensive options. As a business owner, a professional email signature does wonders for positioning you as a professional. Including your title (such as owner or founder) plus your business name and website information shows authority while also inviting recipients to view your website. I created my email signature with WiseStamp, which is a really cool free business tool. They have several layout options but you can include links, a photo of yourself, social buttons, and even your RSS feed. Here are a couple examples from WiseStamp.com. 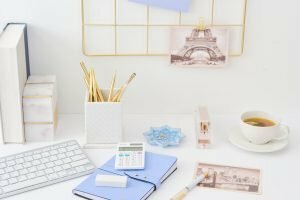 Are there any tools you use to run your business that I didn’t include? I’d love to hear about them, so let me know below! Great freelance tips! I was wondering if people still used business cards. They make sense to me but I wasn’t sure if I should get them or not. You’ve pointed me in the right direction for potential freelance work. Hi DeShena! I carry business cards with me everywhere I go, just in case. You never know when you might run into someone who could be a potential client, so having cards at the ready is a good practice. I also recommend handing a few out to your family and friends to pass along. Good luck! A worth reading article. Thank you so much for this. Thanks for the freelance tips. I recently came across with the email signature generator tool, it’s free from Salesmate CRM and find it quite useful. worth trying! Hi Jayesh! I will have to check that out. Thanks for the tip!